There are two types of cells in our ears that are sensitive to sound. The first is the inner hair, which signals the brain when there are vibrations that activate the movement of the cilia (or tiny hairs in the ear). These cilia are specially coded to be highly sensitive to the different sounds we are capable of identifying. The second type of cells simply intensify those sounds within our ear to generate a stronger stimuli for the inner hairs. As we age and subject our ears to various intensities of sound, our ears adjust accordingly. For example, after listening to loud sounds, when the ear is given a resting period, some of the hair recovers but will never be exactly the same. This decline in our hearing moves from the outer hair to the inner hair over time, dramatically impacting our abilities to hear well in any situation. The Star reported recently that the Rotman Research Institute at Baycrest Health Sciences in Toronto has proven that those who participated in music training as youths were more inclined to identify particular sounds even in their older age. This test was completed with 20 healthy participants aged 55-75 and relates specifically to the cognitive impacts of musical training rather than the biological effects on the inner and outer cilia. 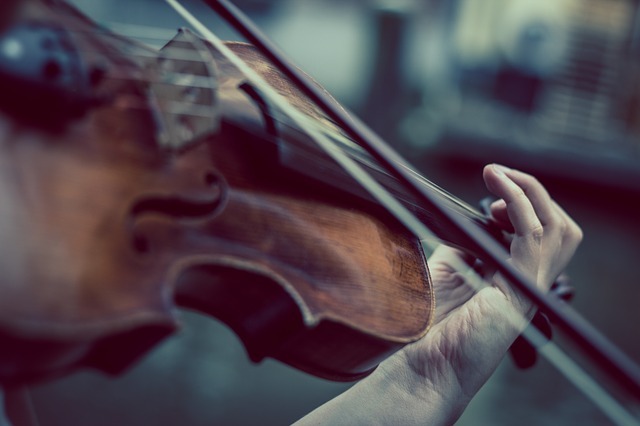 While the Rotman Research Institute study recommends that we pick up an instrument any time before the age of 14 to reap the cognitive benefits of music, there is also evidence to suggest learning or playing an instrument at any age can be beneficial to our hearing health. This data is specifically related to how long someone might play per day. For example, while playing a trombone for six hours a day might damage your hearing, it might also be beneficial in training the brain to more closely identify the nuances of sound in a loud environment. These nuances related specifically to neural activity don’t apply in a test for pure tone thresholds. This means that all test subjects, musicians or not, saw the same decline in the ability to hear quiet sounds. This is specifically related to the cilia’s ability to pick up sound. While it’s never too late to pick up an instrument, we’ve all subjected ourselves to hearing damage, whether from a job or a loud concert. While the inner ear damage might be repairable on a small scale, it’s a good idea to couple ear protection with the cognitive practices that can improve hearing overall. At Freedom Home Care, we strive to provide options to support you and your family as well as the facts needed to make informed medical and health decisions. Feel free to contact us with any questions about our in-home healthcare services.